The three-year, $2.7 million Cooperative Research Centre for Developing Northern Australia (CRCNA) will work to identify what is working well and what can be done to improve processing, storage and distribution of Kakadu plum products. It will also develop training for the harvesting, manufacturing and marketing sectors of the industry. 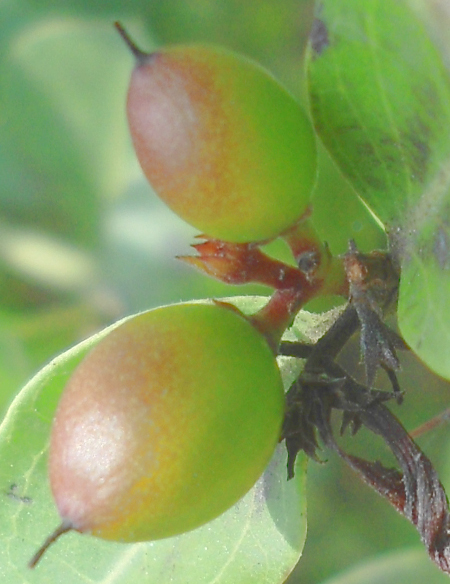 “Demand and growth for Kakadu plum products here and overseas is expected to be around 10 per cent annually, with significant opportunities emerging in the nutraceutical, supplement and pharmaceutical industries,” says researcher Dr Yasmina Sultanbawa. The first stage of the Kindred Spirits Traditional Homeland Enterprises (T.H.E) Kakadu plum project started in 2013 at the request of the Women’s Centre and Traditional Owners in Wadeye, Northern Territory. It has since expanded to include other harvesting communities in the Northern Territory and Western Australia’s Kimberley region. The enterprise currently processes and sells Kakadu plum fruit, puree and powder products. Kindred Spirits Enterprises Executive Officer Ann Shanley said the CRCNA project will bring together lessons learned about the existing value supply chain and apply research techniques to identify how the Kakadu plum industry can grow its market share through new products and marketing opportunities. “Our potential customers keep telling us they want to use Kakadu plum in food products, cosmetics, nutraceuticals – but they need information about how they can do so,” she said. Mr Matz said the project presents an exciting opportunity for Traditional Owner-led enterprise across Northern Australia.